Wet leisure sales and marketing guru Dorian Davies has welcomed news that Hot Tub Cinema’s inaugural screening in Bristol was a sell-out success this week after tickets were snapped up in just a day. Over 100 people donned their bathing costumes on Wednesday night at the Paintworks Creative Space; before taking the plunge in 20 inflatable tubs for the screening of hit comedy ‘The Hangover’, staring Bradley Cooper of ‘American Hustle’ fame. Following the impact of the ITV documentary ‘Hot Tub Britain’ in September featuring the Hot Tubs Superstore team in Blackpool run by Den Holmes, it is a further industry boost. Hot Tub Cinema founder Asher Charman, who launched the concept in London in 2012, now hopes to capitalise on national and international media coverage for his flourishing venture. He has previously worked in Bristol and revealed that the response to the debut in the city for his company was humbling ahead of six further planned screenings. One of the ticket holders Alex Pugh had a special reason to sample the Hot Tub Cinema’s debut screening in Bristol as he had worked at the host venue Paintworks in the past. Further sold out Bristol screenings will feature ‘Hot Tub Time Machine’; ‘Zoolander’; ‘Dirty Dancing’; ‘Grease’; and ‘Ghostbusters’, as well as the Disney classic ‘Lion King’, which Asher believes will be a unique opportunity for groups of friends and couples to view the iconic films. Special Hot Tub Halloween screenings have also been lined up in London with ‘The Lost Boys’, scheduled for October 27; ‘The Rocky Horror Picture Show’, on October 28; ‘Shaun of the Dead’, on October 29; ‘28 Days Later’, on October 30; ‘Scream’, on October 31; ‘Beetlejuice’, on November 1; and ‘The Craft’, on November 2. “Watching a film like this is a uniquely luxurious experience that you can enjoy with your loved one or friends,” said Asher. 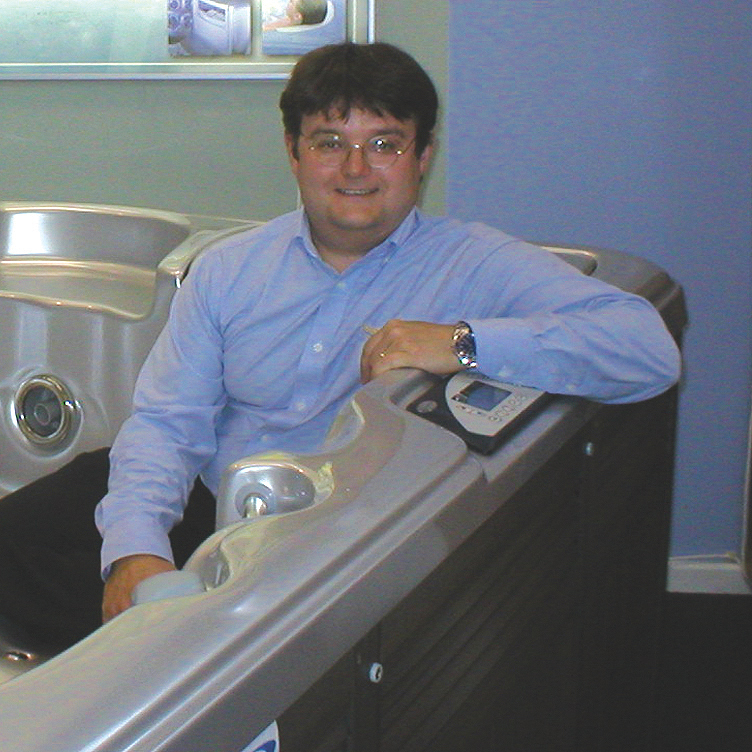 Hot tub sales and marketing expert Dorian Davies of Doric Marketing believes the latest regional and national publicity for the industry will be a major boost for retailers, especially those in the surrounding areas. These will include hot tub dealerships based in the Bristol area such as HotSpring South West that has one of its showrooms inside the Cadbury Garden Centre in Congresbury; which promotes the 2014 WhatSpa? Best Buy HotSpring Limelight Bolt; four-seater HotSpring Highlife Triumph and five-seater HotSpring Highlife Envoy NXT. Family-run dealership Blue Rock Pools Ltd, based at the Frome Valley Farm Shop in Frampton Cotterell, supplies models from the South Seas, Island Spa, and Tidal Fit Swim Spas ranges from multiple WhatSpa? 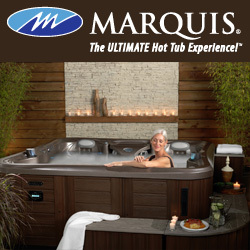 Award-winning manufacturer Artesian Spas, which has landed 2014 WhatSpa? Best Buys for the four-seater South Seas 518P; the six-seater Island Antigu 33, and six seater DoveCanyon. Urban Cedar at the Market Indutrial Estate in Yatton, which supplies the 2014 WhatSpa? Best Buy six-seater Urban Cedar Sport (Base) model; specialises in the design, build and installation of contemporary cedar wood hot tubs and is another potential destination for new fans of the hot tub lifestyle. “This flourishing venture by Hot Tub Cinema just shows how hot tubs are becoming part of our leisure culture in the UK,” said Dorian Davies; “It is a major sales and marketing boost for all of our wet leisure retailers, especially those in the Bristol area, following on from the recent ‘Hot Tub Britain’ TV documentary coverage. 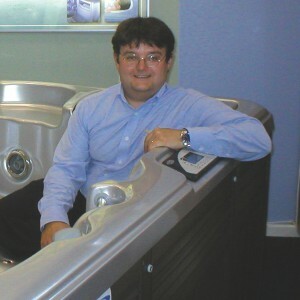 Hot tub retailers who are looking to further enhance their marketing potential and promote their showrooms with specialist knowledge from Dorian can contact him on 01672 841193. Filed Under: Event news, Knowledge bank, News, Sales & marketing Tagged With: Artesian Spas, Dorian Davies, Doric Marketing, Hot Tub Britain, Hot Tub Cinema, HotSpring, Urban Cedar, Wet leisure, WhatSpa?